With party season upon us, you me be looking into how you can keep your skin in tip top condition. The colder climate and harsh weather really does take its toll on our skin and we can find that it easily becomes drier at this time of year. So what products are there on the market that can help keep your skin moisturised and healthy over the festive period? I have been using this daily moisturiser for a couple of weeks now and have found that my skin is still feeling supple and hydrated. Enriched with silk peptides and Siberian ginseng, the cream helps to firm the skin alongside keeping it moisturised. 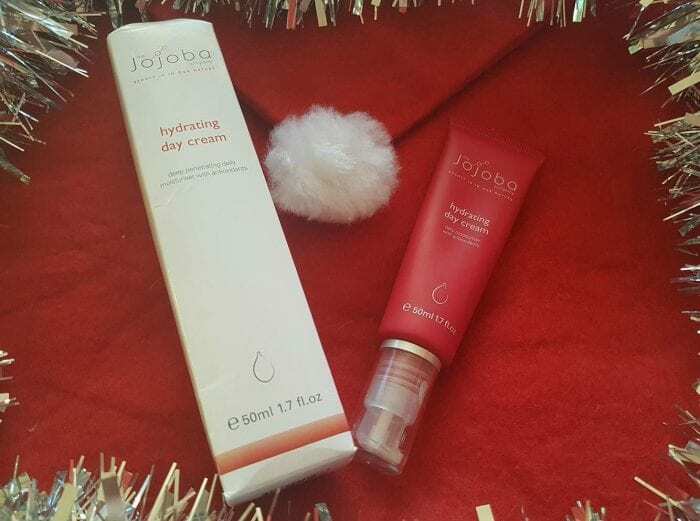 With a pleasant, natural fragrance, the hydrating day cream is part of an extensive range of natural skincare products from The Jojoba Company. One of my ultimate beauty must haves! This cream works wonders on breakouts, minimising the damage of any blemishes and spots quickly. Perfect for those who suffer with acne, the key ingredient in this particular cream is Benzoyl Peroxide, which is recommended by dermatologists in the treatment of acne. You may find that it dries out the areas of skin that you use it on, so make sure you moisturise well when using this product! Yes, this cream may very well be for helping to prevent nappy rash, however I have found it to be one of the most effective facial moisturisers and is my go to for ensuring smooth and glowing skin. Slightly heavier than most facial creams, only a small amount is required to ensure full coverage of your face in order for the immediate effects to be visible. Not only does it offer a protective barrier and helps condition babies bottoms, but also your face. If you are spending time outdoors over the winter, using this cream beforehand will ensure you are somewhat protected from the harsher elements! If you are looking for more beauty skincare and gift ideas check out the Christmas Gift Guide for inspiration! Oh the jojoba cream sounds great. I need a diff mosituriser now age is catching up with my skin!